The Wimbledon 2015 Championships are just around the corner and I am beyond excited. Those of you close to me, know that fitness is a true love of mine and tennis is one of my favorite sports. When I was young, my sister and I played tennis in school, took lessons together, and battled it out on the court. My sister is petite and blonde, with an angelic look. Anyone that walked on a court with her might mistaken her strength and skill, judging by her size and appearance alone. She never fooled me though. Small, but mighty, my sister is also fast and fierce. She would beat my booty in every single match. I always thought I was decent at the game, until she took hold of a racquet. She would run me all over the court, and just when I thought I had her conquered, she’d smash a shot over the net, just to show me who’s boss. I loved playing with her. Our summer tennis matches have sadly become few and far between ever since I moved to New York, and she is in Florida. I don’t have a tennis buddy here and courts are tough to come by. Here at Sleepless in Sequins, it’s no secret that I like to play dress up. However, what you may or may not know, is that I’m a bit of a fitness fanatic as well. I can’t help myself. The gym is one of my favorite places to be, and when I say I love it, I truly mean that. 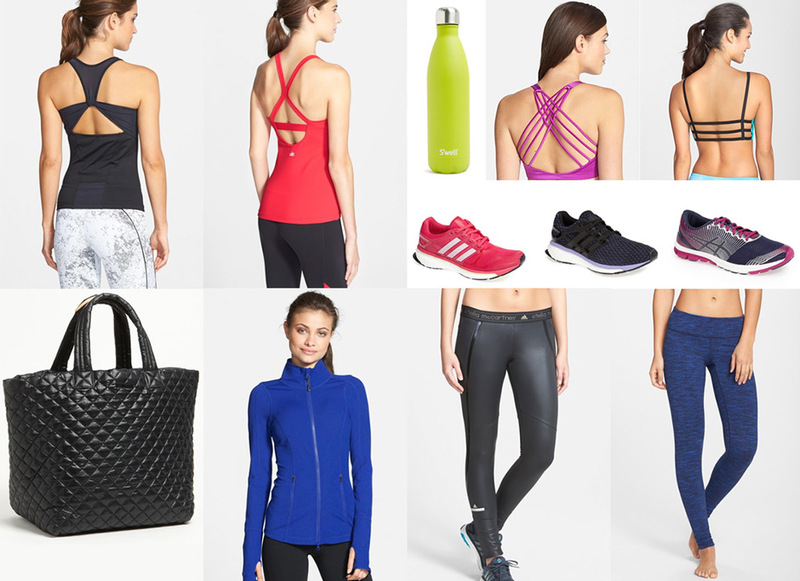 When I shop or create wish lists, sporty outfits rarely make the cut. I can tell you that I’m not the most practical shopper. I choose fancy over practical, every day of the week. Last year around the holidays, I opened a gift from my mother in law. I was beyond excited about the activewear capris she got me. I loved being able to have new fitness gear and not have to search for it. So for the sporties in your life, give the gift of fitness apparel. They’ll be doing jumping jacks for days! Here are are few of our favorite styles to start your search. Happy shopping!